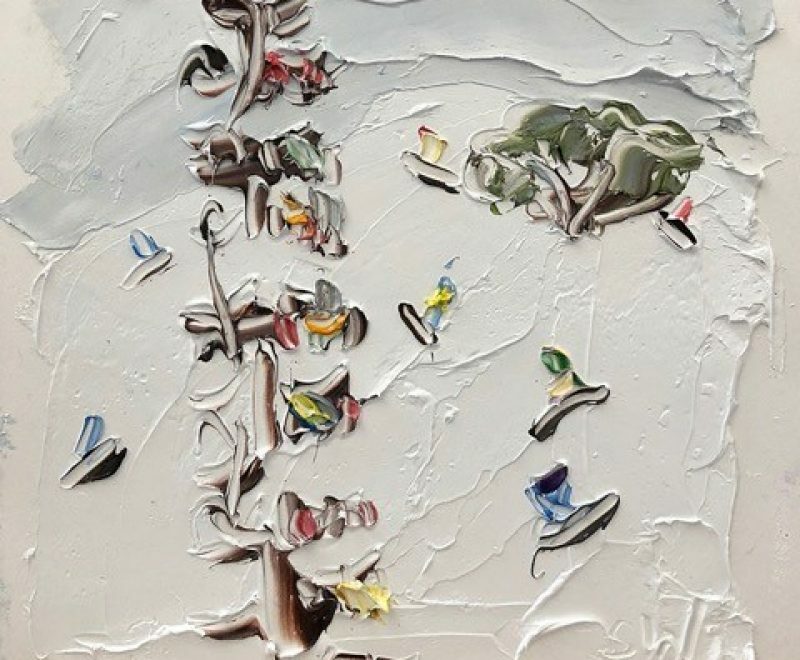 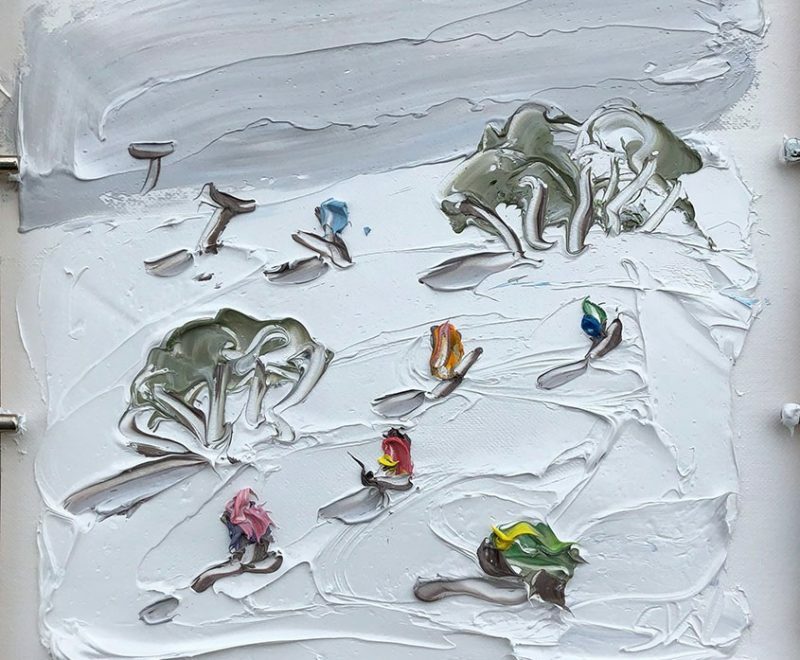 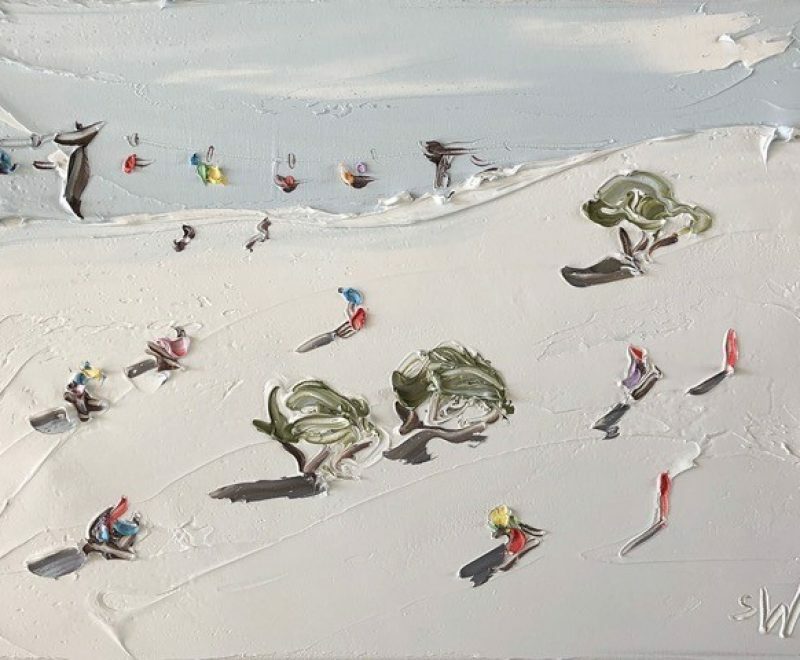 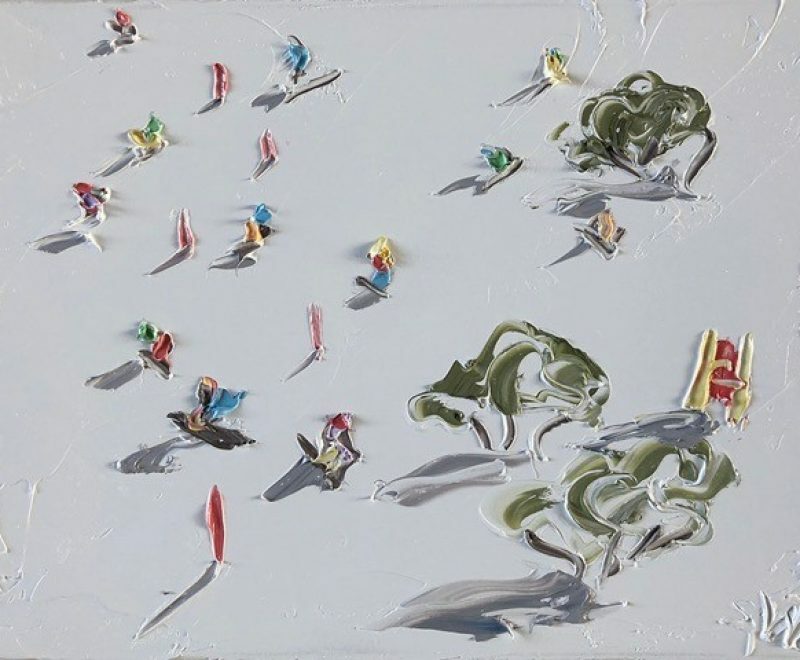 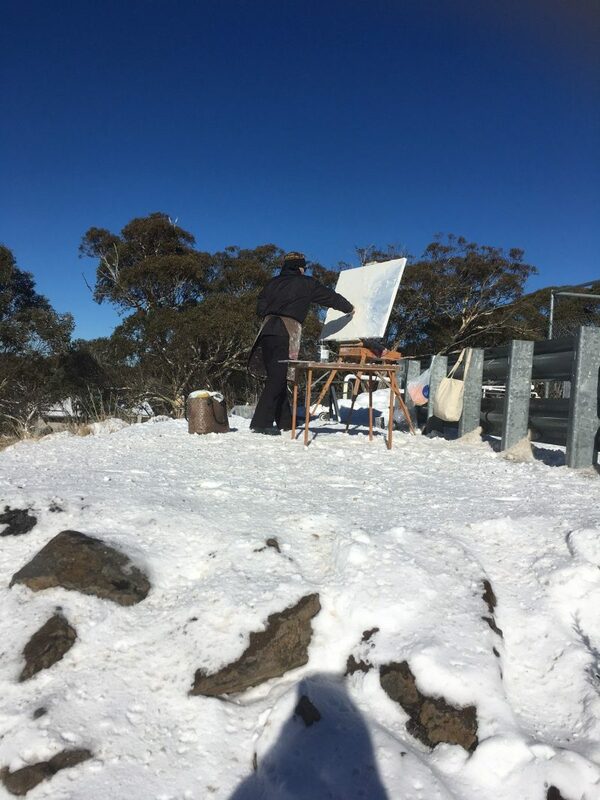 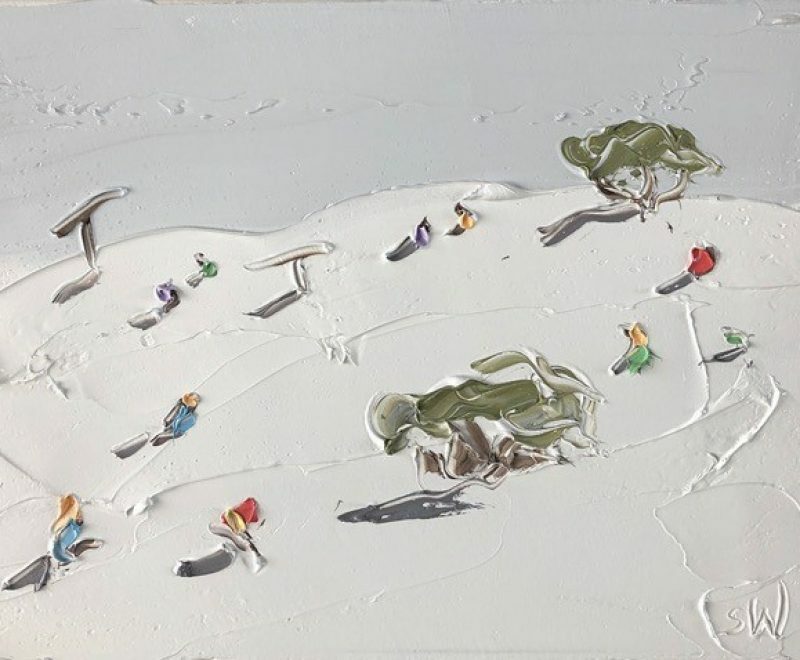 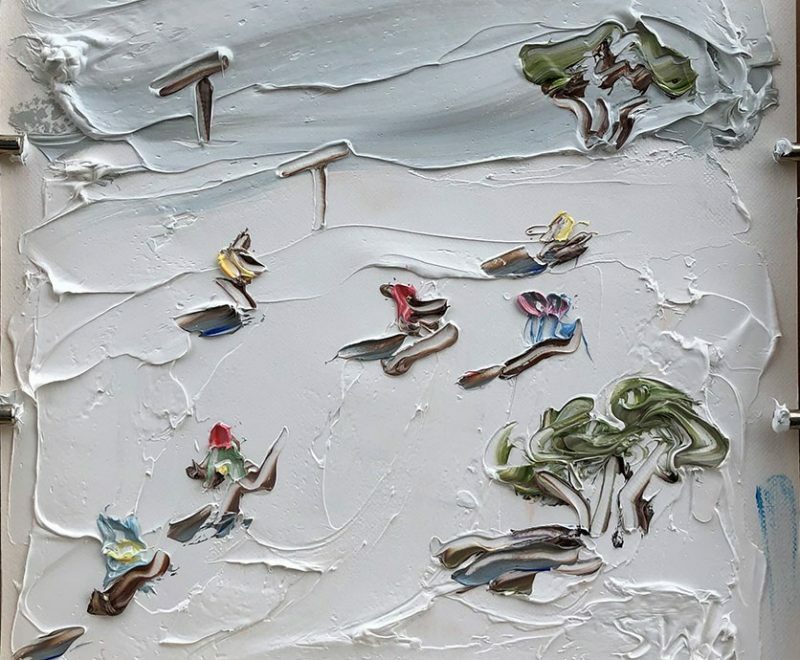 Following on from the international acclaim of her now-famous Beach Series, after months of planning and research Sally West ventured into Australia’s Mt Hotham snowfields in July 2017 to create the first en plein air paintings (out in the open) for the brand new Snow Series. 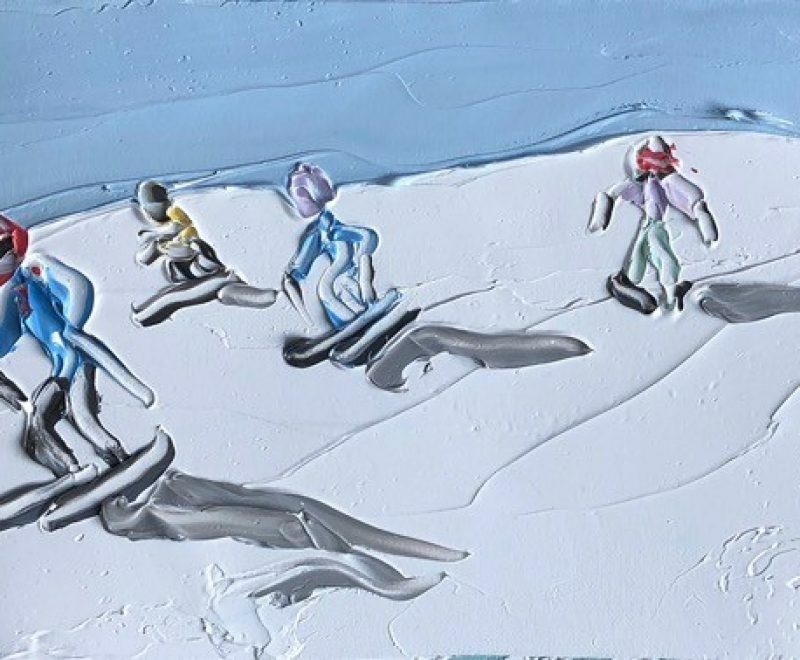 Paintings from this series will be available exclusively from KAB Gallery. 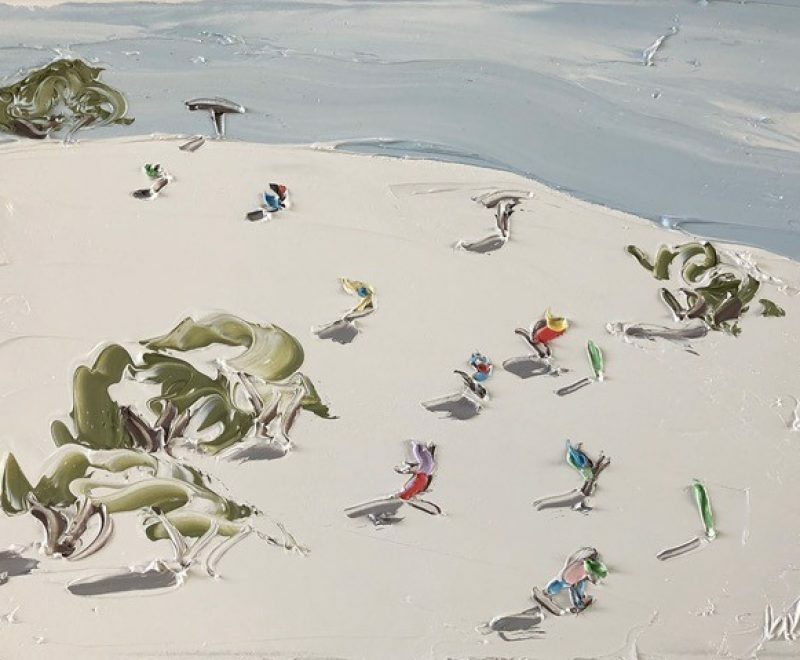 “I have painted in extreme heat and in cold rural locations but this is probably the most challenging location I have painted at so far” says Sally West. 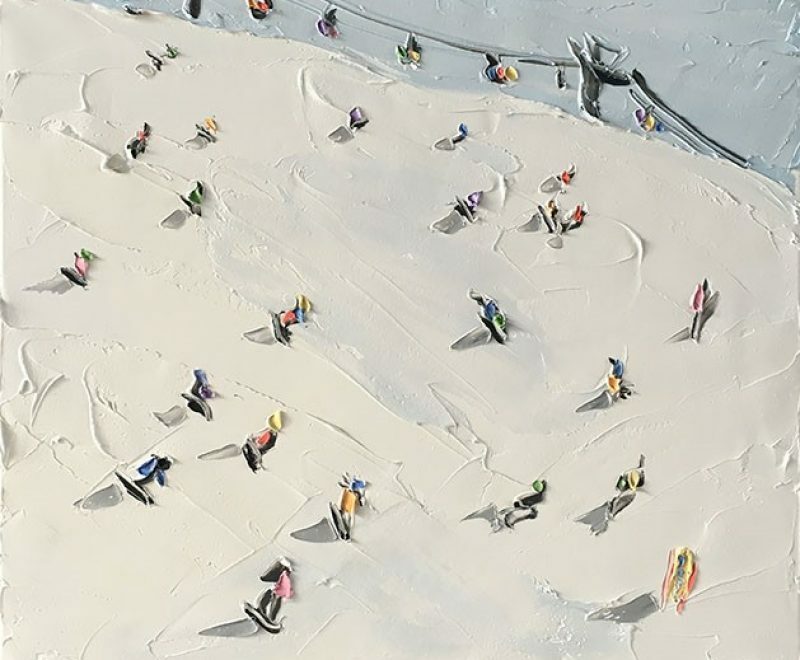 While never knowing how each series will organically develop, Sally hopes to find an impressive aerial perspective of the ski fields to create a frozen version of her much loved Beach Series. 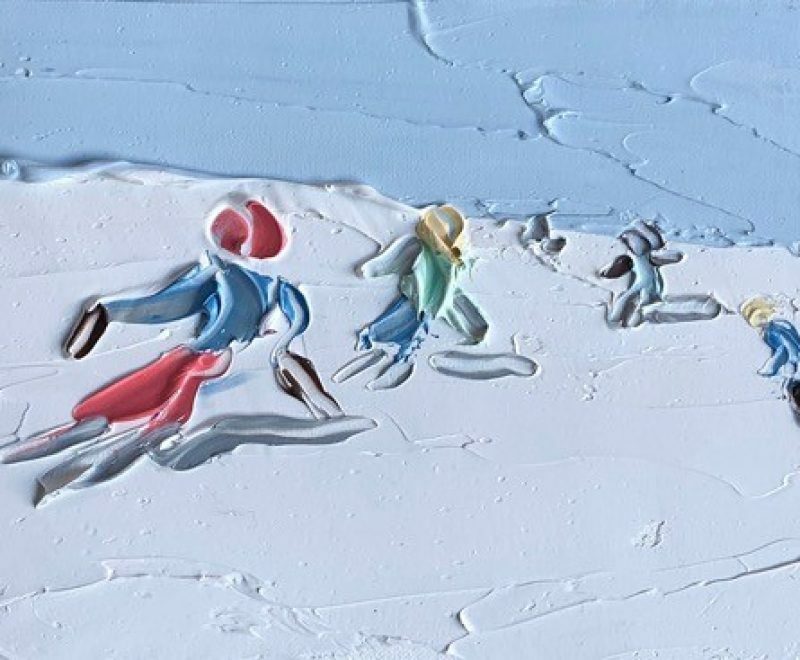 Brightly coloured ski suits will contrast with the crisp white snow, creating an amazing vista for the viewer to enjoy. 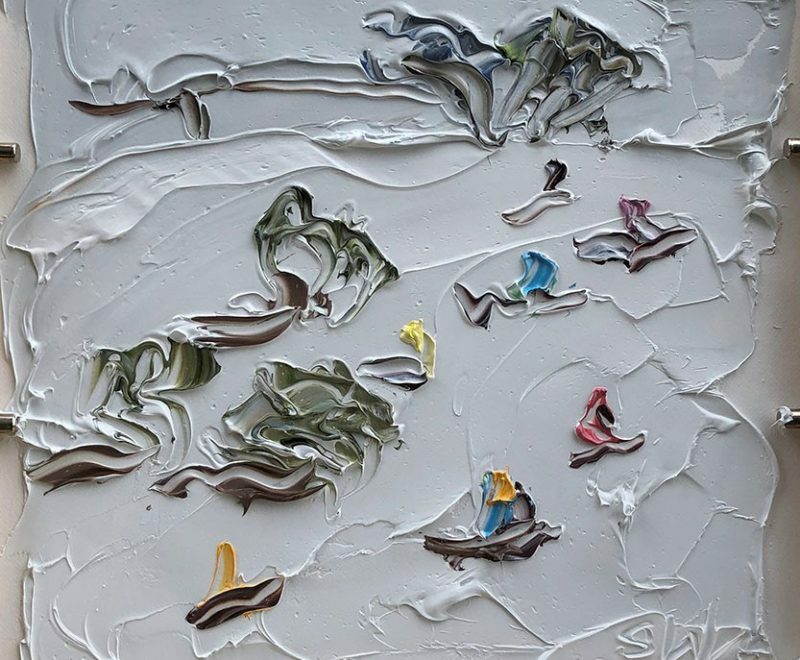 Back in her studio Sally will also paint artworks inspired by her snow field painting sessions, complementing the impressive en plein air works.